*Congrats Alexis L. on winning a month of A Horse Box! 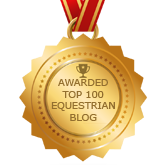 On the fifth day of Christmas, Velvet Rider brought to me…one month’s box from A Horse Box! A Horse Box would make a wonderful gift for the equestrian and horse lover in your life! 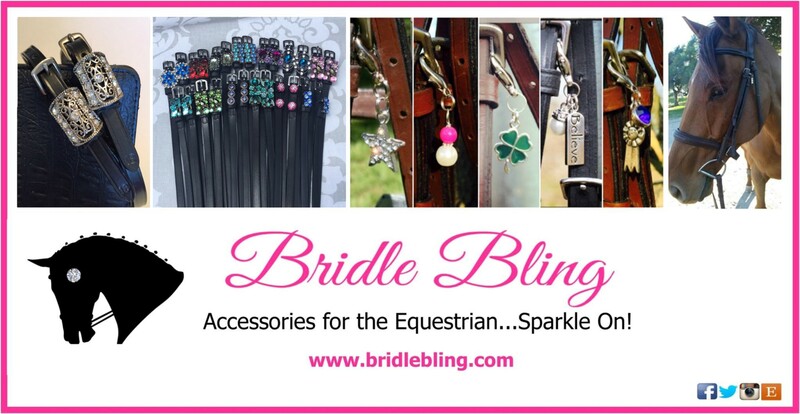 It’s a monthly subscription service that works with vendors to bring you the latest and greatest in equine products. Your choice of box starts as low as $25.99 a box each month. It’s the gift that keeps on giving…it’s like Christmas each month! A new box every month filled with surprises. They will love it! (I love mine so I can say that with 100% certainty!). Check out our past review here. They also have a one-time Tack Box and a Barn Box configured for the single horse owner or the multiple horse owner and is filled with all of the everyday essentials. You can’t go wrong gifting A Horse Box! 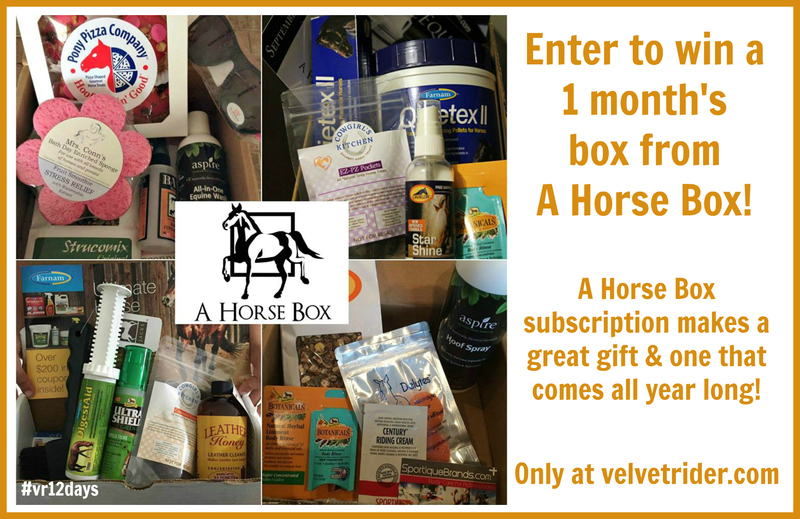 Enter below for your chance to win a one month’s box from A Horse Box! I would absolutely love to try this. I got scammed with the pony box (a different company) but I have really wanted to try horse box! Even if you don’t win you should definitely try A Horse Box. I have belonged for over a year and love it. They are wonderful to deal with and always ship on time with great product samples. So sorry to hear you got scammed by Pony Box. 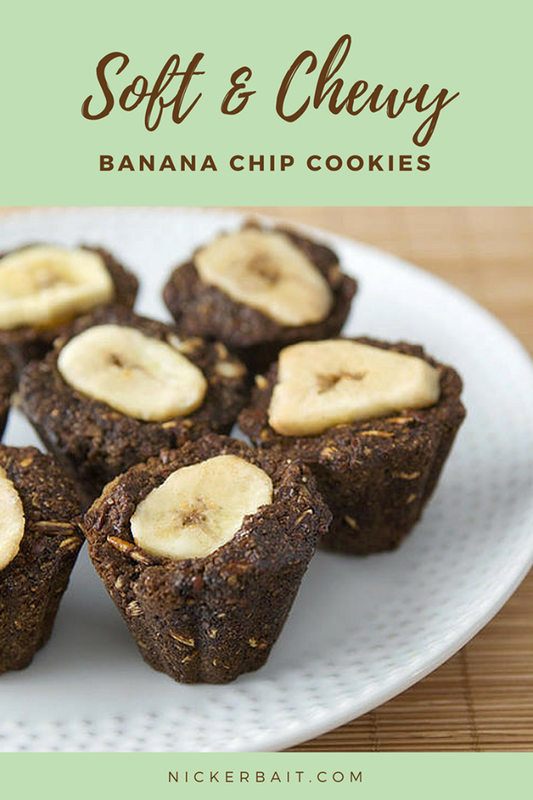 These are so fun… it is like opening the best Christmas stocking! My horses always like to try new things, this would give them that opportunity. Always wanted to try this box. Always wanted to try these! Hoping for a little luck for my mare and I! I’ve always wanted to try this! Seems like a fun gift idea too! I would love to get a Horse Box subscription for my mare! 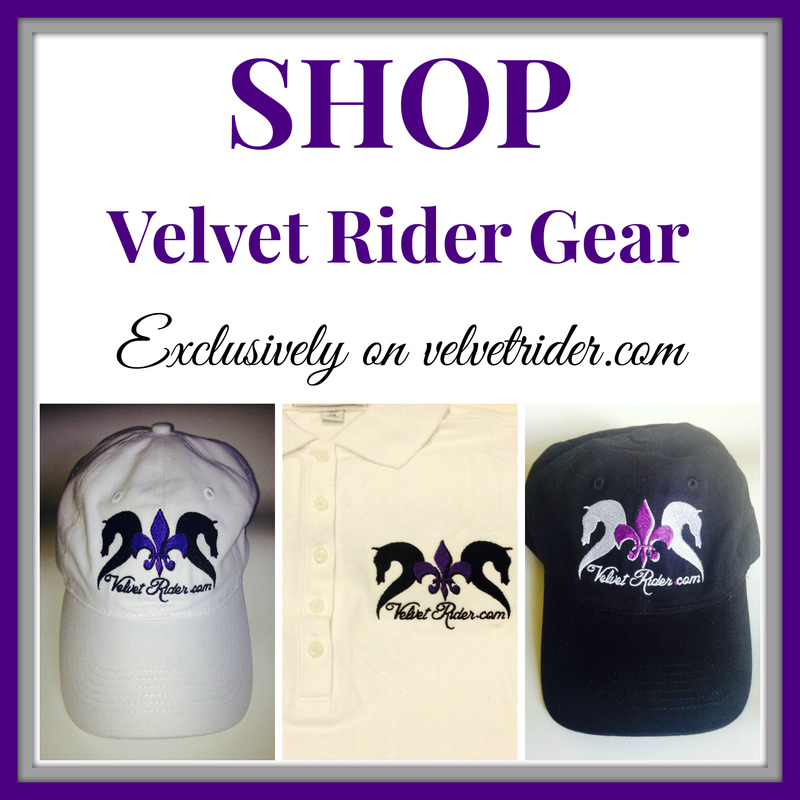 I’m always looking for new products and fun things to share with my mare and fellow riders! Penny would love this! All about new stuff to try! I love A Horse Box! Great products that my horse and I love! I have always wanted to try this! I have always wanted to try these! They look amazing!! It seems like such a cool idea to be so excited each month to see what is in the box! Actually, I have been getting them since they first started, so I would rather someone else win to get a chance to try this awesome prize! Awesome Company with awesome people running it! So, I am entering to give to someone else that would like to try! I would love to win this!! Been trying to win one for awhile now to show the hubby how awesome it is and why we need to subscribe to it!! I would LOVE to win this because all the OTTB’s deserve all the goodies that come in a Horse Box!! I think I will ask Santa for our very own subscription!!!! It would make a great gift for my horse loving friend. i would love a chance to win for my horses! thank you! I’d love to try A Horse Box! I would love to win a month of horse box!!! These are good for anyone, but particularly the first time horse owner! I love A Horse Box! Found some great new products through it! I’ve always wanted to try one, not only would the products get tried on an eventer,they would get tried on racehorses too! My horses would love to get A Horse Box for Christmas! I just got a new pony and I know he wants to try out a horse box as much as I do!!! A subscription to a Horse Box is on my Christmas list. It is gift that keeps on giving! 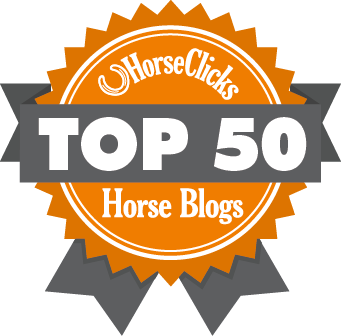 I love a Horse Box, and would love to win a subscription for the month! I’ve always wanted to try this box! I’ve heard so many great things and I know that they have great variety of products to try! I can’t afford to subscribe to a Horse Box right now, so winning one would be awesome! This would be the ultimate gift for my 13 year old equestrian. She loves taking care of and riding horses. They have unknowingly helped her grades improve, her reading levels move up, her math skills multiply, science skills increase all because she has to do all of that without realizing it when taking care of a horse. They help each other without even realizing it. I love A Horse Box so many wonderful products in the boxes! I have always though Horse Box sounded cool. I can’t wait for the opportunity to try it! I want a horse box!